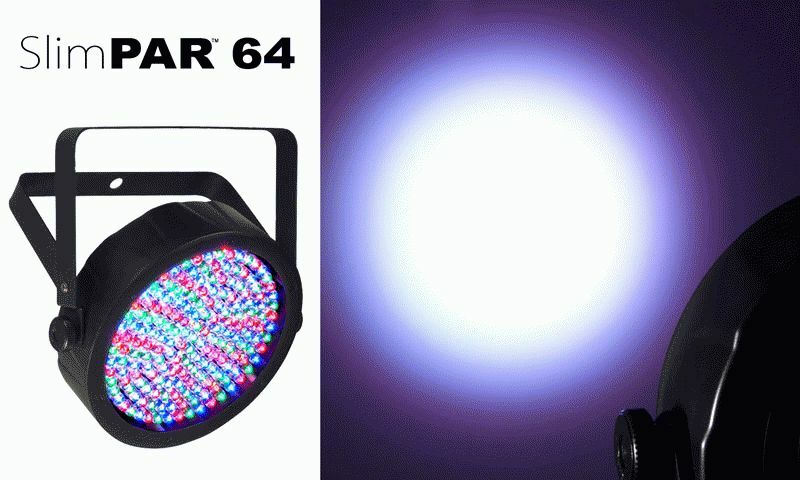 CHAUVET®, a leading manufacturer of LED lighting, announces the arrival of two new fixtures to the SlimPAR™ family: SlimPAR™ 38 and SlimPAR™ 64. The fixtures are launched in response to the successful SlimPAR™ 56. Every member of the SlimPAR™ family are LED PAR fixtures with very slim casings—only 2.5 inches thick—that make them easy to transport. This compact unit can fit almost anywhere in your rig. The fixtures offer 3- or 7-channels of DMX control, or you can use the built-in automated and sound-activated programs or pulse effect with adjustable speed. 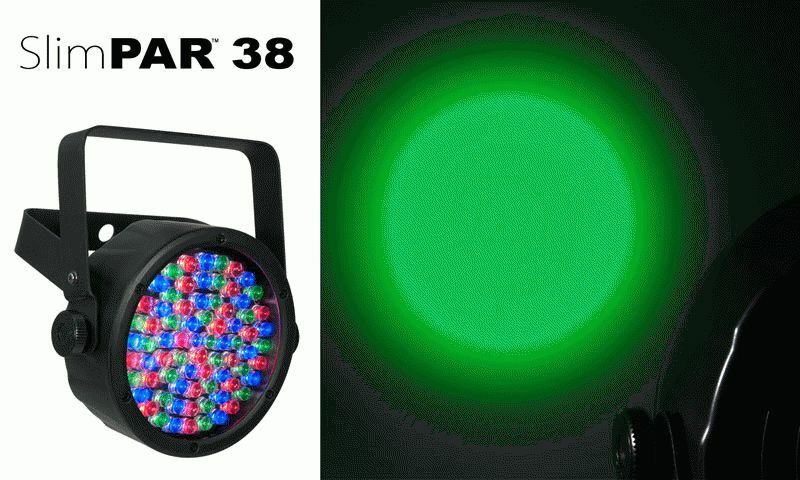 They also offer static colors and RGB color mixing with or without DMX and built-in power linking for quick set up and break down. The fixtures are differentiated chiefly by the number of LED lenses in each light and the number of units that can be power-linked together per circuit. SlimPAR™ 38 features 75 red, green and blue LEDs and up to 43 units can be connected, while SlimPAR™ 64 features 180 red, green and blue LEDs and up to 22 units can be connected. Each PAR is so compact, five of them take the same space of one traditional PAR can. They all weigh less than three pounds (1.3 kg) and, when placed on their unfolded mounting brackets, stand only seven inches high. Plus, all three draw less than or equal to a quarter of an ampere. This means 80 units can fit on the same circuit. These low-profile fixtures can easily be packed inside road cases and are perfect for the mobile DJ, band on-the-go or stage performer. They can be used as uplighting, area washes or truss warmers and they remember the last setting applied so you can just plug it in at the gig, maximizing your set-up time. They also work with Obey™ 3 [link: http://www.chauvetlighting.com/obey-3.html], an easy-to-use controller ideal for the novice or someone who wants to effortlessly control their LED washes.